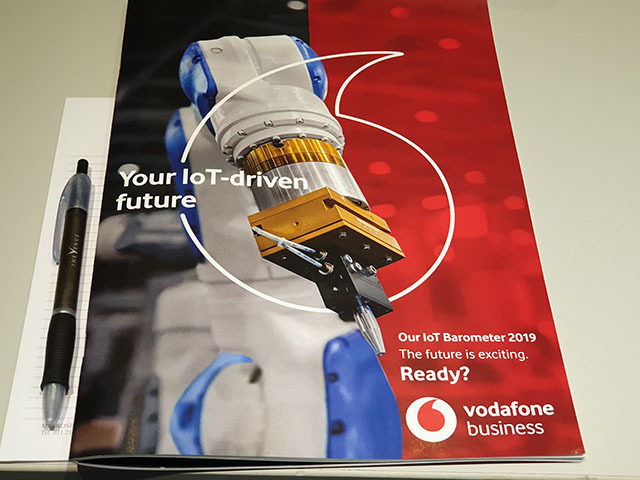 Amongst the many points revealed at the 2019 Internet of Things (IoT) Barometer by Vodacom Business this week, one of the standouts was the role that the emerging technology plays in the era of digital transformation. In short, it’s crucial. More specifically, the report found that 72% of those surveyed who have adopted the technology believe that digital transformation is impossible without IoT. 60% of businesses that use IoT agree that it has either completely disrupted their industry or will do so in the next five years. And finally, 74% of businesses that use IoT have asserted that non-adopters will have fallen behind rivals within five years. That makes sense, as ignoring digital transformation is a death knell to a business in today’s digital economy, where industries are being disrupted constantly. Beyond the dangers of not adopting it, there are benefits to doing so. IoT has, according to Vodacom Business, passed its hype stage and is now showing its value. The 2019 Barometer bore this out, revealing that 95% of adopters are seeing the benefits of their investment in this technology as it moves into the mainstream, with 53% of them reporting reduced operating costs. The good news is that IoT adoption is growing, with this year’s Barometer finding that of the companies globally that it surveyed, 34% of those organisations were adopting IoT, up from 29% last year. Only bolstering IoT’s relevance is the statistic that 84% of adopters report growing confidence in IoT, with 83% saying the scale of deployments has grown. “The good news is that IoT enablement platforms make the technology easier to deploy for businesses of all sizes, and connectivity options like NB-IoT and 5G will make implantation easier and improve services. In this climate, companies need to be considering not if but rather how they will implement IoT. They must also be fully committed to the technology to capitalise on the positive value/outcomes enabled by IoT,” he continued. While use cases for IoT are varied, ranging from medical exoskeletons to connected tyres, the research has found that IoT impacts businesses regardless of size and sector. And it does so across a range of industries, from agriculture, to automative, education to healthcare and municipal services. That being said, without real world examples, it can be a nebulous technology to wrap one’s mind around. 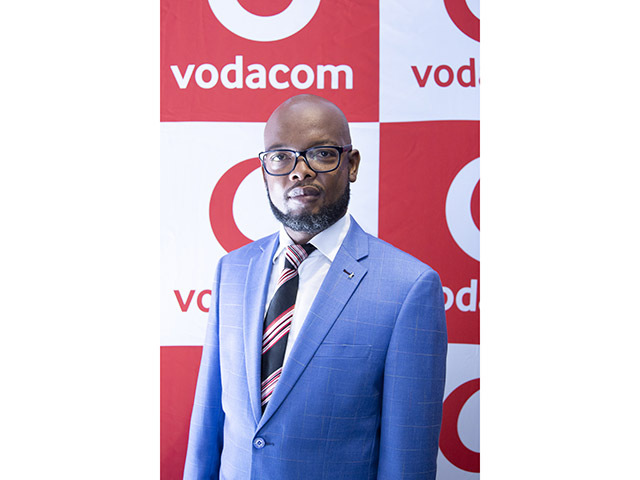 Helping clarify the potentials of IoT in real world terms, was Lawrence Juku, executive head of Vodacom Utilities and IoT at Vodacom Business Africa and Anthon Muller, the executive head of managed enterprise mobility Africa at Vodacom Business. Juku elaborated that, for example, if the water engagement system was connected by IoT then it could reduce the response time to address a leak. Instead of having water gushing down the road for days on end, potentially causing accidents not to mention wasting copious amounts of water, feasibly this, along with citizen engagement, could help ensure that living in the city is greatly improved. Muller added that IoT can assist citizens engage in their communities, by giving them a platform to connect with local government. He explained that having the right IoT platform in place could enable government to collect water and electricity rates more easily, reducing hassle on citizens. As well, it could offer people a way to report issues so as to make their lives easier on a daily basis. He stressed, however, that a mobile app that enabled citizens to report faults to their municipalities would need to be simple and easy to use, requiring as least effort as possible. If IoT is so relevant to embracing digital transformation, and holds such potential, who is embracing it and who is not? To quantify this, the report looked at businesses using IoT by assessing strategy, integration and implementation of deployments. It then graded them out of five – one being the highest and five being the lowest. The report found that 53% of adopters fall into the top two levels out of five. Regionally, the Americas is the most advanced, with 67% of adopters falling into the top two levels, compared to 51% in Asia Pacific and 46% in Europe. This suggests that businesses in the Americas are progressing faster than those in other markets, moving from individual projects to coordinated, strategic programmes. As to where South Africa sits, that is a bit more complex, with it depending on the industry. For the most part though, it seems like we hover somewhere in the middle. Top of mind for businesses, especially when a newer technology is being implemented, is what the return on their investment will be. It is an issue that the 2019 Barometer report addressed, highlighting that the most advanced companies saw the greatest return on investment in IoT. Indeed, 87%of those in the top level reported significant returns or benefits from IoT, compared to just 17% in the “beginner’s” level. These benefits breed increasing reliance on IoT, and 76% of adopters say IoT is mission-critical. What’s interesting though is that we are beginning to see the first signs of organisations recognising how critical IoT is to them. According to the report, 8% of adopters say their entire business depends on IoT. Malebye stated that looking to the future, new technology will continue to power the performance of IoT. “Over half (52%) of adopters plan to use 5G, which promises to support higher volumes of data, increase reliability and offer near-zero latency. Combined with mobile edge computing, which will process application traffic closer to the network edge, users can expect better performance, less risk and faster data speeds,” he noted. “The Barometer makes it clear that businesses are increasing their investment into IoT as they gain confidence and begin to develop more advanced solutions. In the short term, adopters of IoT will continue to access reduced costs and improved efficiency, but increasingly ambitious projects will offer the opportunity to change business models. For example, in cities heavy users of roads could pay more, encouraging the use of different modes of transport with knock-on benefits to public health and the environment,” he continued.